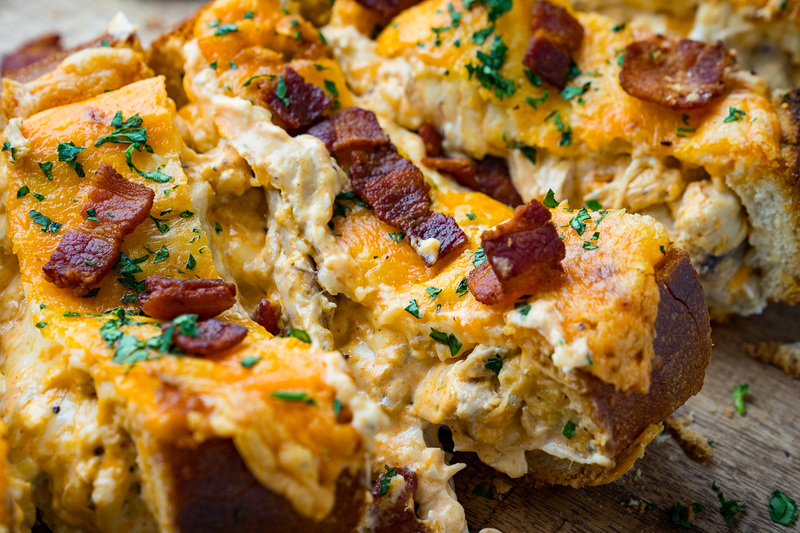 The NFL football playoffs are this weekend and I’m getting my game day snacking menu ready! 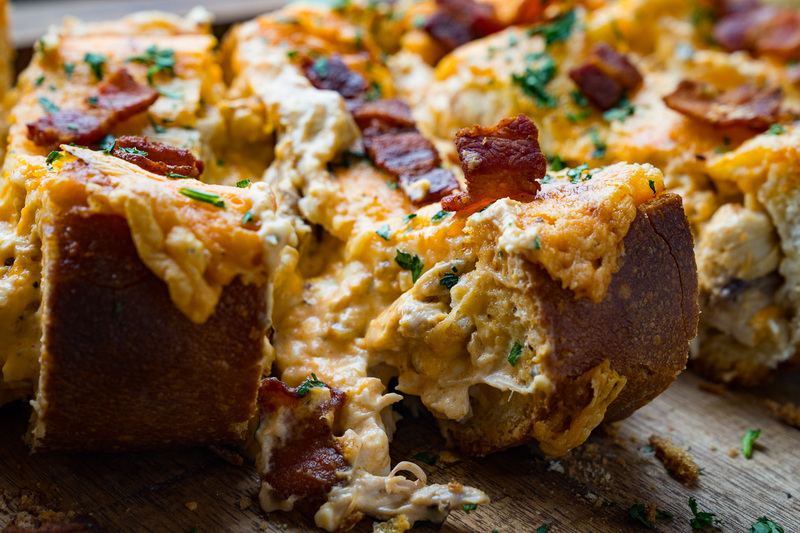 Spicy buffalo chicken dip has to be one of my all time favourite snacks for watching the big game and it’s perfect for diving into with chips but you can also bake it in bread! 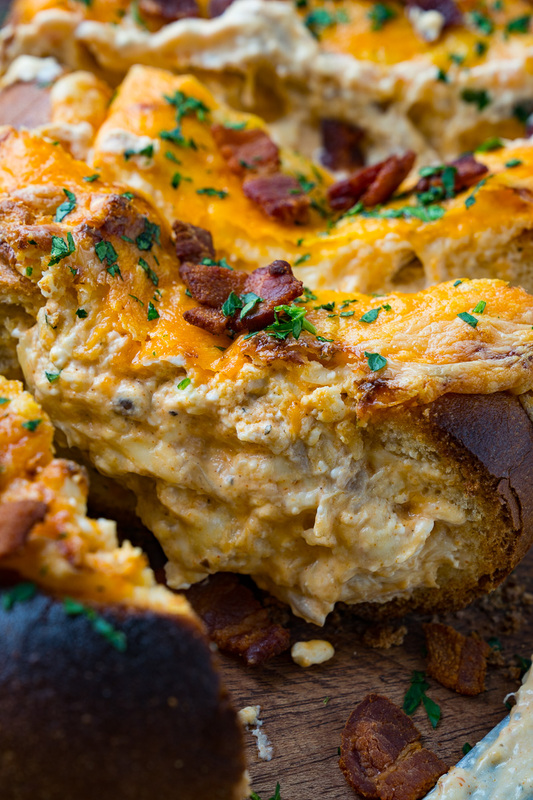 This recipe is really just a regular buffalo chicken dip that’s placed into a hollowed out loaf of bread, like a french bread, topped with even more cheese and baked until the dip has melted and the cheese is all nice and ooey and gooey and good! Yum! When you bake the bread it gets crispy so you can easily slice the loaf into individually sized pieces that are perfect finger food! 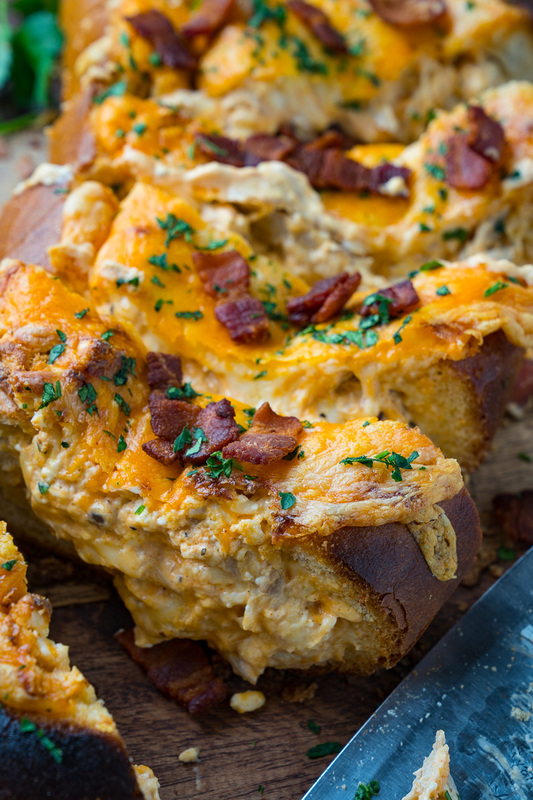 This buffalo chicken french bread is a fabulous recipe to munch on while watching the game this weekend or for any other special occasion where you want to impress. 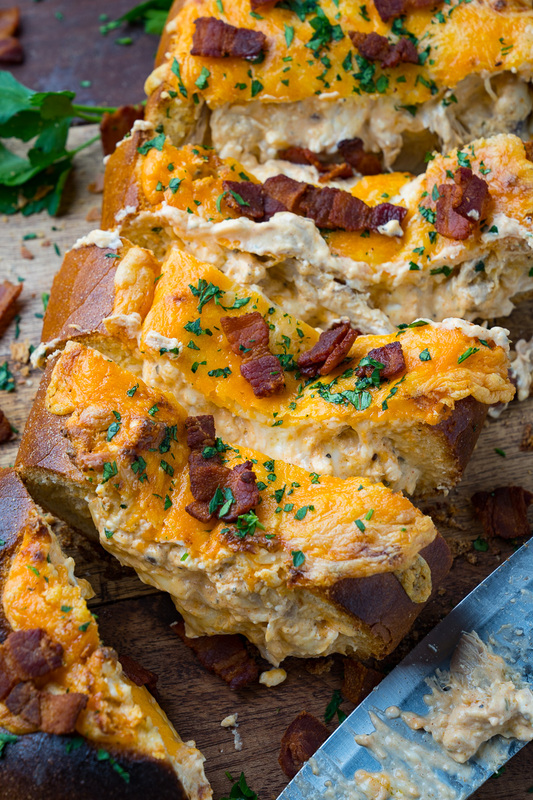 It’s also perfect for tailgating! 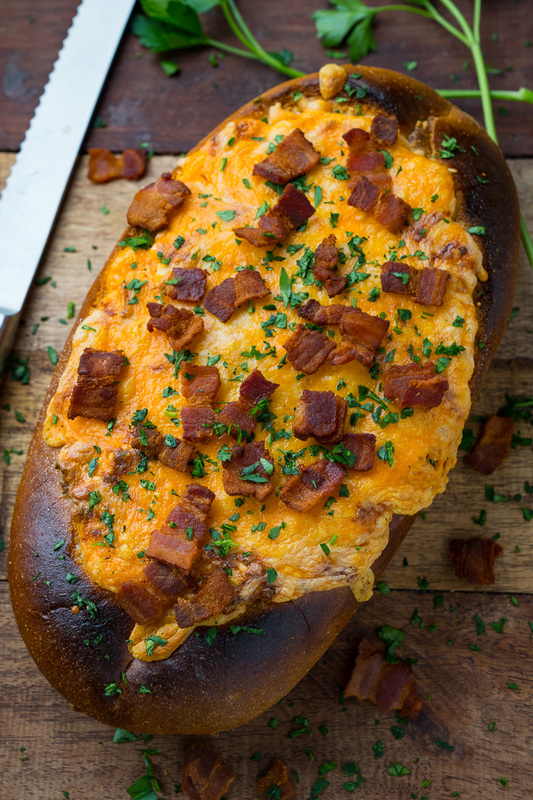 Don’t tell anyone but I also like to make this for dinner sometimes! Hi Kevin- I just wanted to say that I have been a huge fan of your blog for a long time. I have every “Best of” cookbook since 2012. I appreciate you putting in the time to post the recipes and pictures. Thank you so much.